Her entry into films was in the early eighties. Though started with B grade movies such as Aana, in a short period of time, she became one of the top heroines. She was a popular face in the eighties. And got paired with almost all the top heroes. Mohanlal and Mukesh, were two heroes with whom she was able to have a good chemistry. Along with Malayalam films, Lissy also had appeared in several Tamil, and Telugu films. 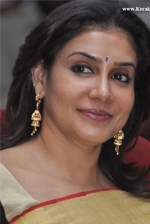 Lissy was appreciated for her roles in Chithram, Thalavattom, Odaruthammava Alariyam, and Boeing Boeing. She later fell in love with the famous film director Priyadarshan, and got married to him in December 13, 1990.